Angela Disisto of Medford, Mass., sits with her brother, Luigi, who has autism, at the Judge Rotenberg Educational Center in Canton, Mass. The backpack Luigi is wearing carries equipment that would give him a two-second electric skin shock if staff deem his behavior dangerous. Luigi Disisto is a 47-year-old man who has autism and lives at a private special education center based in suburban Boston best known for being the only school in the country that shocks its students with disabilities to control their behavior. Disisto wears a backpack equipped with a battery and wires that are attached to his body to deliver a two-second shock if he misbehaves. The controversial practice at the Judge Rotenberg Educational Center has pitted family members, who swear it has been the only way to control their loved ones, against critics who call it torture. The privately operated, taxpayer-funded school caters to 270 adult and minor students from across the country, many who struggle with profound disorders causing severe aggressive and self-injurious behavior, such as repeated head banging and biting off their own body parts. Now the U.S. Food and Drug Administration says it plans to ban the controversial device, which administers the skin shocks to stop such behavior, by the end of this year. FDA Commissioner Scott Gottlieb said in a report last fall that the apparatus developed by the Rotenberg center presents "an unreasonable and substantial risk to public health." Potential risks include burns to the skin, anxiety, fear and pain, federal records show. Long-time critics say they are hopeful that the FDA will act sooner rather than later – an agency official said it aims to finalize the ban by the end of the year. "The idea that this is somehow treatment is absurd. It's sadistic and its torture," said Laurie Ahern, president of the Washington, D.C.-based nonprofit Disability Rights International. "Many, many, many advocates have been trying many things for many decades to close the doors of the Judge Rotenberg Center." Executive Director Glenda Crookes says the school and its supporters would litigate to protect its rights to treat residents with the apparatus it developed and has used for nearly three decades. The center has prevailed against other efforts to stop it — most recently in June when a local judge ruled in its favor. 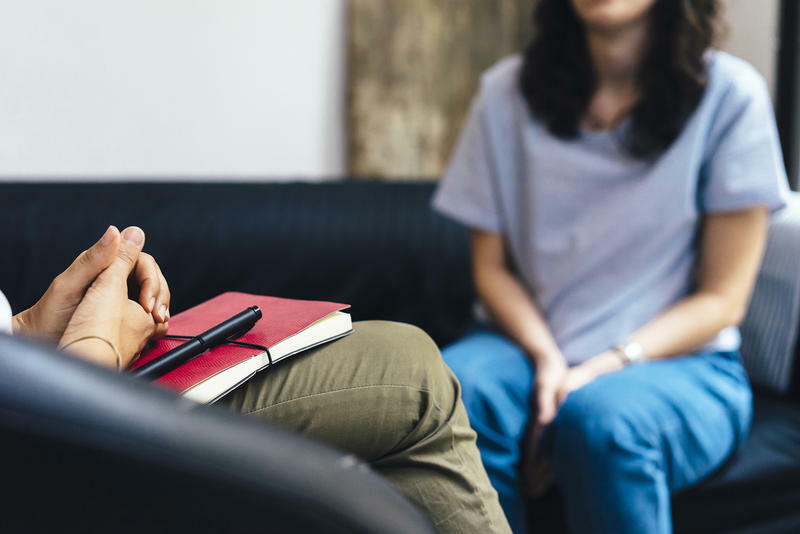 "The court found that the treatment is humane, safe and highly effective for a population of clients who have exhausted all other options available to them," Crookes said in a written statement. 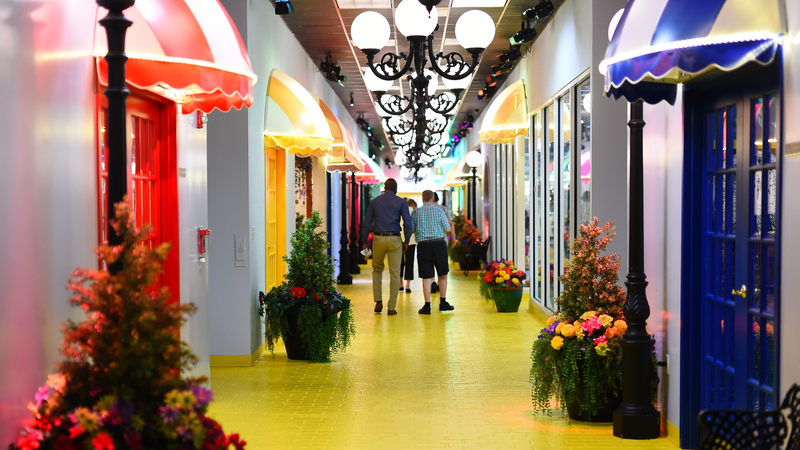 In addition to classrooms, the Rotenberg center campus in Canton, Mass., includes a long, brightly lit hall, called the "Yellow Brick Road." It has options for residents to spend money earned for good behavior including a movie theater, candy store and barber shop. Last summer, Crookes gave a tour of the school and granted interviews with several family members. They included Disisto's sister Angela who says the shock treatments have been a lifesaver for her brother, who once was violent to himself and others. Now Disisto worries about what would happen if the shock devices are banned. "It's disheartening," she said last week. "He could revert back to his old behaviors." The judge's June ruling was in response to a legal action filed by the state of Massachusetts in 2013 after a video was released of a teenager receiving dozens of electric shocks over a period of hours. Massachusetts Attorney General Maura Healey filed a notice last summer that she plans to appeal the decision. Since opening in 1971, the Rotenberg center has been surrounded by controversy because of its use of "aversives" — types of punishment used to control behavior, including spraying students with water, pinching them or putting hot sauce on their tongues. The school phased out most other practices and now relies mostly on the shock device known as a graduated electronic decelerator. Currently, 48 adult students are court-approved to wear the backpacks, according to Crookes. The numbers of students with backpacks has dropped since 2011 after the state passed regulations to prohibit new residents from being considered for the shocks. The FDA first proposed the ban on the device in 2016 and requested public comments. Frustrated by delays, activists last year staged protests in front of the school in Canton, Mass., and outside the Indianapolis home of Health and Human Services Secretary Alex Azar. In December, an international human rights group connected to the Washington, D.C.-based Organization of American States urged the United States to immediately stop the practice. The school also is facing several civil lawsuits from former residents alleging mistreatment. Among them, Jennifer Msumba filed suit in Essex County Superior Court in 2014 over her treatment during her seven-year stint at the school. Msumba declined to be interviewed for this story but described in an online video how she was afraid while wearing the backpack. "It really, really, really hurts," she said. Rotenberg officials denied wrongdoing. They say instead that Msumba's treatment was a success. Msumba's legal case is still pending. "I want everyone to know because I am still suffering," she said. "And I know other people that were there who I am still in contact with that are still suffering." This story comes from the New England Center for Investigative Reporting. NECIR is a nonprofit news center based out of WGBH News and Boston University. Jenifer McKim can be reached at jenifer.mckim@necir.org. The Judge Rotenberg Educational Center in Massachusetts is the only known school in the country that uses electric shocks to control the behavior of its special needs students. The U.S. Food and Drug Administration announced plans to ban the controversial device that administers the skin shocks by the end of this year. But Jenifer McKim from the New England Center for Investigative Reporting says school officials won't give up the practice without a fight. And just to warn you, this story does contain audio that some listeners could find disturbing. JENIFER MCKIM, BYLINE: This is Luigi. The 47-year-old autistic man has lived for the past 20 years at the Judge Rotenberg Educational Center based in suburban Boston. He wears a backpack equipped with a battery and wires that are attached to his body and give him a two-second shock if he misbehaves. His sister Angela Disisto says the center and its shock treatments have been a lifesaver for her brother, who was once violent to himself and others. ANGELA DISISTO: I see the results from 20 years ago to today. His behaviors have changed, calmed down. He's not even aggressive towards others or himself anymore. MCKIM: The Rotenberg Center is a private, taxpayer-funded school catering to adult and minor students from across the country. Many struggle with profound disorders causing severe aggressive and self-injurious behavior like head-banging and biting. The so-called shock treatment has pitted family members who swear it has been the only way to control their loved ones against critics who call it torture. JENNIFER MSUMBA: They will give you a shock - a two-second shock somewhere on your body. And it really, really, really hurts. It's not just like a little static shock that you get when you touch a doorknob. MCKIM: That's former resident Jennifer Msumba. The autistic woman declined to be interviewed for this story but described in an online video how she was afraid while wearing the backpack. Msumba filed a civil suit in 2014, alleging mistreatment during her seven-year stint at the center. MSUMBA: I want everyone to know because I'm still suffering. And I know other people that were there that I am in contact with that are still suffering. MCKIM: Rotenberg officials deny wrongdoing. They say instead, her treatment was a success. But the pending civil suit adds to a mounting number of legal and political challenges facing the center. When the FDA announced plans to finalize a proposed ban on the shock device by the end of the year, FDA commissioner Scott Gottlieb said the apparatus presents an unreasonable and substantial risk to public health. Potential risks, federal records show, include burns to the skin, anxiety, fear and pain. Sam Crane is with the Autistic Self Advocacy Network. She's hopeful that the ban will finally stop the shocks. SAM CRANE: There are also a lot of people in our community who know how long we've waited for this and are just trying to make sure it doesn't get delayed again. MCKIM: Delays are possible. For one thing, FDA employees have been furloughed since late December. Glenda Crookes, the school's executive director, says the center and its loyal supporters will defend their right to use what she calls a lifesaving treatment. GLENDA CROOKES: This is our larger workshop. MCKIM: Crookes gave me a tour of the facility over the summer past students wearing headgear to protect from banging and staff members wearing padding to stave off biters. Currently, 48 adults at the school are court-approved to receive shocks. Crookes swears by the treatment. CROOKES: I often say a two-second shock to the surface of the skin versus a lifetime of restraint, medication - it's not right. In such a short time after being court-approved for the use of the contingent skin shock, the change in their personalities - it's unreal. MCKIM: The Rotenberg Center has prevailed against other efforts to stop it. In 2013, the state of Massachusetts filed a legal action after a video was released during a court hearing of a teenager receiving dozens of electric shocks over a period of hours. The sound from that video is hard to listen to. UNIDENTIFIED PERSON: That hurts. That hurts. That hurts. That hurts. That hurts. That hurts. Ow, that hurts. OK, stop. Stop. Stop, for real. MCKIM: A local judge ruled in the school's favor, finding the practices within an accepted standard of care. Now eyes are on the FDA. Luigi's sister, Angela Disisto, worries about what could happen if regulators do strip her brother of the backpack that she says keeps him in check. Until then, Luigi and others at this special needs school in Massachusetts are susceptible to jolts of electricity meant to inflict pain some call treatment and others, torture. For NPR News, I'm Jenifer McKim in Boston. GREENE: And Jenifer's story came to us from our member station in Boston - WGBH. Transcript provided by NPR, Copyright NPR.